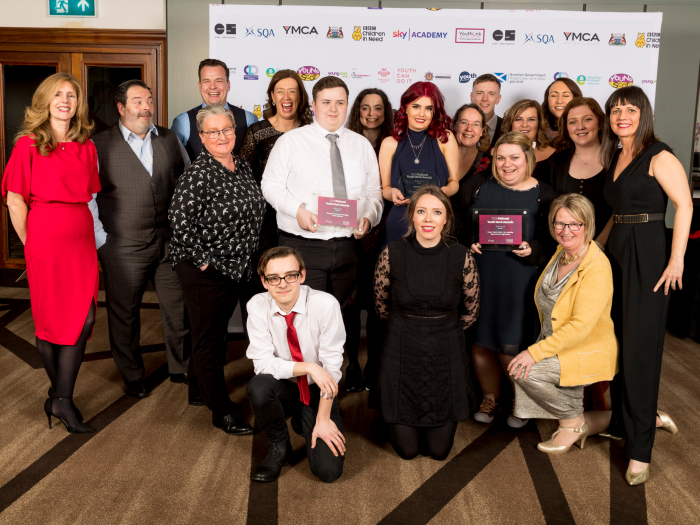 SQA helped recognise the vital role youth workers, managers and partners play in providing young people with essential life skills, at YouthLink Scotland’s National Youth Work Awards. SQA attended as sponsors of the ‘Skills for Life’ category, which celebrates projects that give Scotland’s young people the skills and confidence they need to achieve their potential. Three inspiring initiatives were shortlisted for the award, each of which are providing access to education and employment opportunities in their local communities. The Cupar Youth Café’s 16+ Activity Agreement Programme supports young people to take the next step in their learning journey, with over 90% of those involved moving on to positive life destinations. At Helm Training in Dundee, young people who have not engaged with the traditional school environment are provided with alternative ways to gain qualifications. The project’s employability programme provides work experience placements, and last year 74% of those resulted in a job offer. The third finalist was The Glasgow North East Strategic Youth Alliance (GNESYA). This initiative brings together local youth work projects, colleges and government to ensure young people have the best chance of success. Dundee’s Helm Training (pictured below) were announced as the winner at the ceremony. 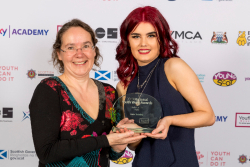 On presenting the award, Julie Lynn, SQA Regional Manager said: “These awards highlight the life changing work that youth workers are undertaking every day throughout Scotland. It’s a privilege to help celebrate the inspiring projects taking place in our communities, which are giving young people the skills they need to fulfil their potential. Congratulations to each of our Skills for Life finalists, and in particular our winner, Helm Training. SQA congratulates all the finalists and winners on their achievement. Find out about SQA’s PDA and SVQs in Youth Work.